I don't like to focus posts on failed campaign promises, but this weeks LA Times story on the Obama administrations hollow promise to embrace science draws attention to an important issue: The myth that the political left consistently supports and believes in science. Let me be clear. I am not defending the right's treatment of science, which has been an embarrassment. I am not saying I've tallied things up and found more anti-science on the left than the right. What I am saying is that scientific conclusions are often inconvenient to political ideologies, and progressives are not an exception. "'We are getting complaints from government scientists now at the same rate we were during the Bush administration,' said Jeffrey Ruch, an activist lawyer who heads an organization representing scientific whistle-blowers." "The most immediate case of politics allegedly trumping science, some government and outside environmental experts said, was the decision to fight the gulf oil spill with huge quantities of potentially toxic chemical dispersants despite advice to examine the dangers more thoroughly." This really shouldn't come as a surprise. Two stereotypes of West Coast culture are progressive politics and new age spirituality. New age is a gateway drug to all sorts of pseudoscience, as well as more mainstream nonsense like organic foods, naturalism and fear of genetically-modified organisms. "One of the purposes of this center was to investigate and validate alternative approaches. Quite frankly, I must say publicly that it has fallen short. It think quite frankly that in this center and in the office previously before it, most of its focus has been on disproving things rather than seeking out and approving." "In May, Huffington hired Patricia Fitzgerald, who had previously blogged on the site, to serve as Wellness editor. In Huffington's words, Fitzgerald will add "another layer to the vetting process for posts dealing with medical, health, and nutritional advice." Fitzgerald, an acupuncturist with a master's degree in traditional Chinese medicine and a doctorate in homeopathic medicine, is the author of "The Detox Solution: The Missing Link to Radiant Health, Abundant Energy, Ideal Weight, and Peace of Mind." Her posts had praised actress Jenny McCarthy for healing her son's autism with "biomedical intervention," a menu of "detoxification, and removal of interfering factors, such as yeast, food allergies, viruses, bacteria, and heavy metals," restrictive diets, expensive nutritional supplements and chelation therapy -- all unproven." "Needless to say, there is something ugly and hypocritical about glorifying the absolute authority of scientists and sanctimoniously preening about your bravery in “restoring” that authority — and then ignoring the scientists when politically expedient. "But it is bordering on the grotesque to handpick scientists to give you an opinion and then lie about what they actually said and implement a policy they don’t endorse. (According to the Journal, the Interior Department has apologized to the scientists. But the administration refuses to publicly acknowledge it did anything wrong.)" The Soviet Union's Trofim Lysenko demonstrated the grotesqueness that follows when politics shapes science, instead of the other way around. Lysenko used communist principals to craft agricultural techniques, such as planting seeds in bunches for solidarity. People starved when the crops failed and Darwinian biologists were rounded up and executed. In a way, science is both conservative and liberal. Science is conservative because it believes in the wisdom of past discoveries and is reluctant to abandon them. However, science is liberal because it will retire old ideas once enough evidence is found, and no idea is too sacred to be challenged. 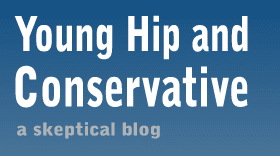 Conservatism has the risk of holding onto old ideas too long, even when they've been disproved. Liberalism carries the hazard of adopting half-baked ideas without proper vetting. These positions can be balanced properly to get the best of both words, and the scientific world does a better job of finding that balance than the political world.